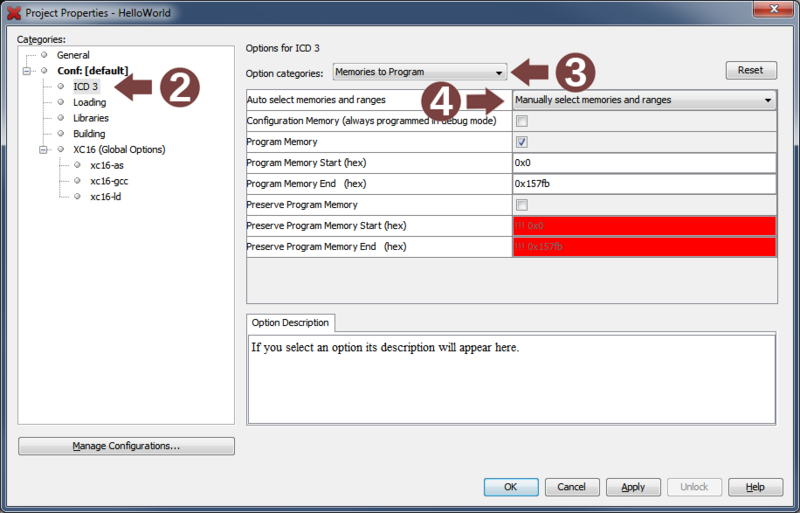 Normally the ICD3 will control these options automatically for you. If you want to manually control the memories and ranges to program, set Auto select memories and ranges to Manually select memories and ranges as described below. Select ICD3 node under Categories.